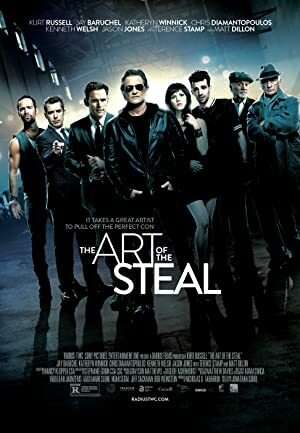 The Art of the Steal (2013) – What's New on Netflix Canada Today! Crunch Calhoun (Kurt Russell), a third rate motorcycle daredevil and semi-reformed art thief, agrees to get back into the con game and pull off one final lucrative art theft with his untrustworthy brother, Nicky (Matt Dillon). Reassembling the old team, Crunch comes up with a plan to steal a priceless historical book, but the successful heist leads to another far riskier plan devised by Nicky. They fail to realize each other’s separate agendas when their plan goes awry in this con movie about honor, revenge and the bonds of brotherhood.